Experience the best of both worlds when you stay in the heart of downtown at our hotel in Hampton, Virginia on the waterfront. Welcome to the Hampton Marina Hotel, a full-service destination for business travelers and guests looking to stay on the water. Relax and unwind in our nautical rooms and suites, complete with all the modern comforts of home and offering delightful touches of luxury. Choose a central location and premier guest experience when you stay with us at the Hampton Marina Hotel. Hampton Marina Hotel awaits, offering guests the perfect environment to relax, dine riverside, and host memorable events. 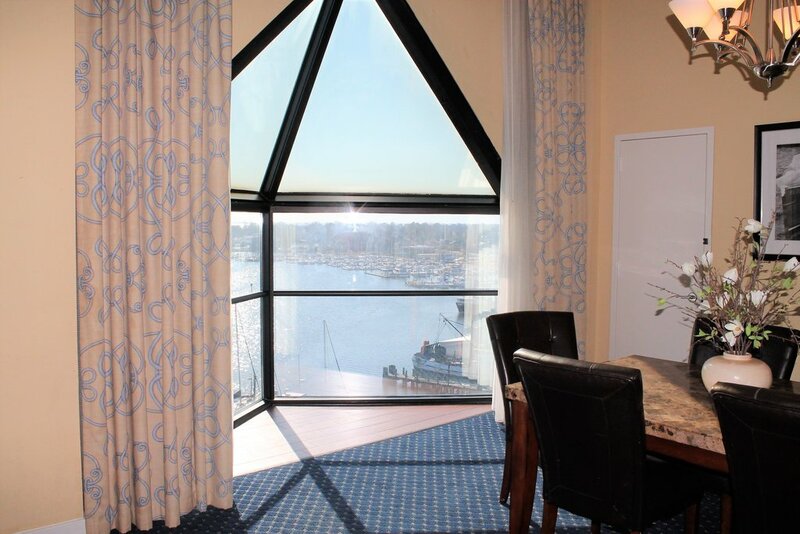 Experience the nautical atmosphere at our beautiful full-service hotel next to the Hampton Marina. Complete with an on-site Regatta Grille restaurant & lounge, and meeting space, business travelers have everything they need at their fingertips. Smaller details such as convenient charging ports, complimentary Wi-Fi, and dedicated work stations in every room will only enhance your experience as a guest of Hampton Marina Hotel. 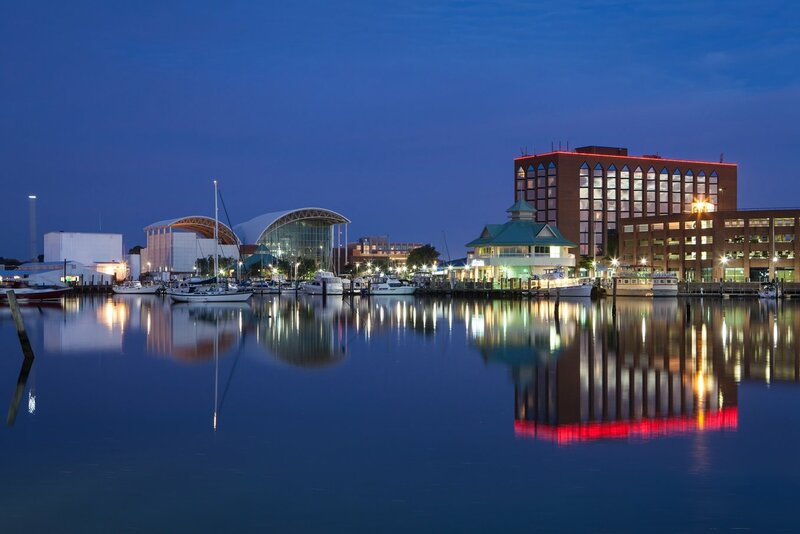 Easily visit Hampton’s convention center, as well as local corporations in the region. 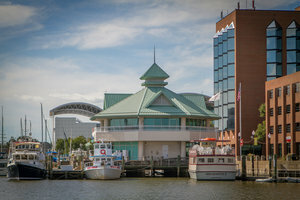 Enjoy easy access to I-64 and the Hampton Roads Bridge-Tunnel connecting the city of Norfolk to the city of Hampton, VA and have a stress-free business trip to Virginia! 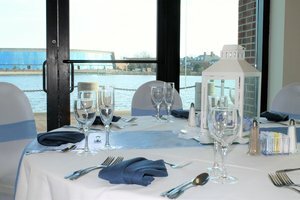 Host your next banquet against the scenic backdrop of the Hampton River. Our elegant venue provides first-time event planners with the perfect setting for weddings and social gatherings. 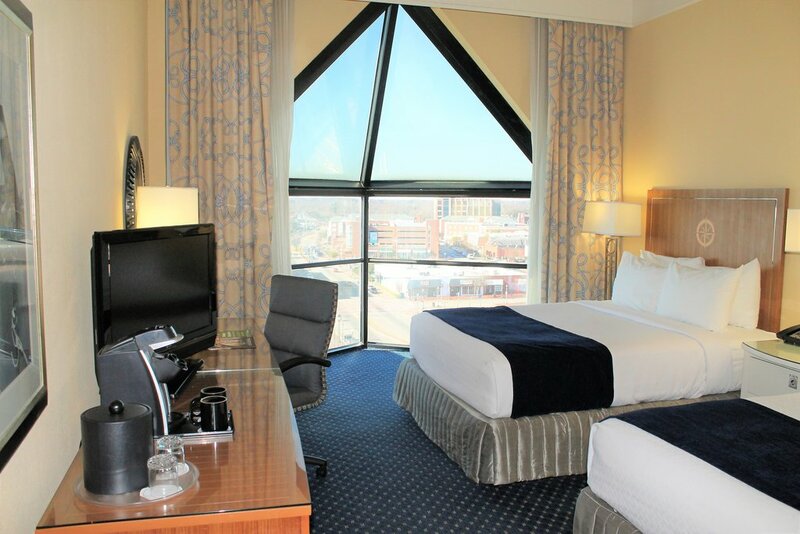 Relax at our hotel in downtown Hampton, VA with a variety of convenient amenities and facilities right on site. 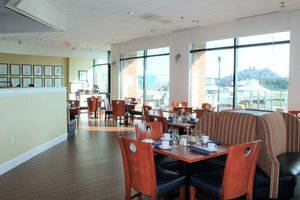 Dine in style with a waterfront view at our fresh and delicious on-site restaurant, the Regatta Grille. Enjoy 24-hour access to our business center, fitness center, and front desk with multilingual staff. Whether you’re visiting Hampton on business or on a relaxing beach getaway, it’s easy to maintain your daily routine. Discover all the ways our hospitable staff is here to offer the best possible guest experience at the Hampton Marina Hotel during your stay! 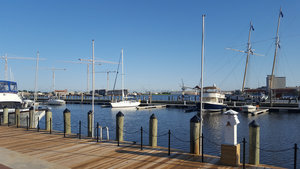 Book your stay today at our full-service hotel in Hampton, Virginia on the waterfront for a premier location near attractions and local businesses.